Photo Courtesy of Gal on a Mission. In April, we begin to see the very beginnings of spring popping up in the produce section. Bright green veg begins to make an appearance, lulling us away from hearty winter casseroles with their bright and fresh flavors. Frozen peas are a year round staple food for many, thanks to our grocery freezer section. When cooking peas, don’t be afraid to buy them frozen and add them into dishes like this Very Veggie Fried Rice or these Samosa Patties, and it doesn’t get any easier than this One Pot Chicken and Peas Fettuccine Alfredo. When you see fresh peas popping up in the store around this time of the year, stock up! Fresh peas are more flavorful than their frozen counterparts. Additionally, their texture is less mushy and more toothsome. For a dish that lets these fresh peas shine, try this Toast with Lemony Pea Mash. Pineapple, with its acidic and sweet flavor, lends itself well to all kinds of dips. Just be sure to have an ample supply of corn chips on hand when you whip up some Pineapple Salsa or Pineapple Guacamole. Pineapple also pairs well with proteins, like chicken in these effortless Grilled Pineapple Chicken Foil Packets, and shrimp in these slightly spicy Grilled Pineapple and Sweet Chili Shrimp skewers. And if you’ve been to Disneyland and had their famous Dole Whip, you know how pineapple tastes in dessert – hint very good. Now, you can make this iconic Pineapple Dole Whip right in your home, Mickey and Minnie not included. If we are being honest, which we are, fresh artichokes can be a pain to deal with. Despite their outward appeal, there is loads of prep work that goes making each green flower edible. Luckily, there are a variety of high quality jarred and frozen artichokes that are ready to flavor any dish. First up, is this sinful Spinach and Artichoke Dip Stuffed Bread. Appetizer heaven, especially when accompanied with these Crispy Artichoke Hearts with Horseradish Aioli. Then shake up regular mac and cheese with this secretly light Spinach and Artichoke Mac and Cheese rendition. But don’t stop there, whip up this Spinach and Artichoke Quiche for a hearty and flavor-packed breakfast. Sweet peppers are seeing some serious creativity in low-carb eating. If you are a low-carber, or just love peppers, check out these Low Carb Mini Pepper Nachos and these Bell Pepper Pizzas. Peppers can even take the place of toast in this Bell Pepper Egg in a Hole recipe. If you want to keep things a bit more traditional, there is the classic Italian dish of Sausage, Peppers, and Onions which never disappoints. 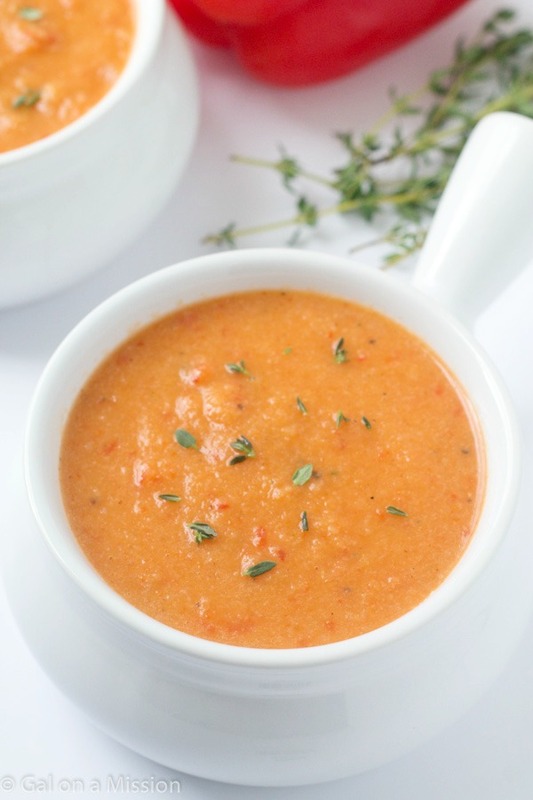 And, for a perfect first course, whip up this simple Cauliflower and Roasted Red Pepper Soup. Spring means this favorite vegetable is beginning to make its way back into the markets. Asparagus, with its distinctive taste, favors light citrusy applications like this Creamy Lemon Asparagus Pasta. It also works well in this Chilled Asparagus Soup which uses avocado – another favorite – to create an impossibly creamy texture. For a simple and elegant appetizer try these Crispy Baked Asparagus Fries. And as an entrée, this 5 Ingredient Lemon Chicken just can’t be beat!